In many of my tutorials, I have emphasized that a real hacker must know and use Linux, but I thought it might be time to emphasize and enumerate the reasons why I think so. So, for those of you are stuck in kiddie-ware (Windows), here is why you should make the transition to Linux. Unlike Windows, Linux is open source. What that means for us is that the source code of the operating system is available to us. As such, we can change and manipulate it as we please. If you are trying to make a system operate in ways it was not intended, being able to manipulate the source code is essential. Think of it this way. Could you imagine Microsoft giving us a plug-in/MMC or whatever to manipulate or change the kernel of Windows for hacking? Of course NOT! To hack effectively, you must know and understand your operating system and to a large extent, the operating system you are attacking. Linux is totally transparent, meaning we can see and manipulate all its working parts. Not so with Windows. Microsoft tries hard to make it as difficult or impossible to know the inner workings of their operating systems. As a result, when working with Windows you are working with "shadows" of what you think is going on under the hood, whereas in Linux you have a "spotlight" shining directly at at each and every component of the operating system. It goes without saying, I think, this makes working with Linux more efficient and effective. Linux is granular. That means that we have almost infinite amount of control over the system. In Windows, you only can control what Microsoft allows you to control. In Linux, everything can be controlled by the terminal in the most miniscule to the most macro level. In addition, Linux makes scripting in any of the scripting languages simple and effective. Well over 90% of all hacking tools are written for Linux. Of course, there are exceptions like Cain and Abel and Havij, but those exceptions simply emphasize the rule. Even when hacking tools such as Metasploit or nmap are ported for Windows, not all the capabilities transfer from Linux. This might seem like radical statement, but I firmly believe that the future belongs to Linux/Unix. Microsoft has had its day in the 1980s and '90s, but its growth is slowing and stagnating. From the beginning of the Internet, Linux/UNIX has been the operating system of choice for web servers for its stability, reliability and robustness. 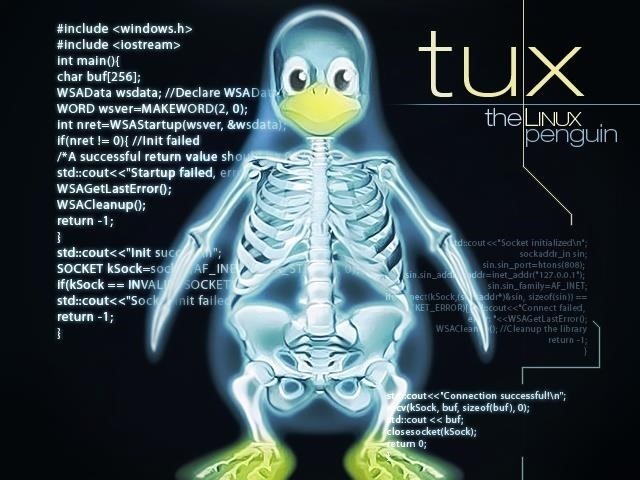 Even today, Linux/UNIX dominates the world of web servers with well over two-thirds of the market. Embedded systems in routers, switches and other devices are almost always using a Linux kernel and the world of virtualization is dominated by Linux with both VMWare and Citrix built on the Linux kernel. If you believe that the future of computing lies in mobile devices such as tablets and phones (it would hard to argue otherwise), then over 80% of mobile devices are running UNIX or Linux (iOS is UNIX and Android is Linux). Microsoft Windows on mobile devices have just 7% of this market. Is that the wagon you want to be hitched to? Hacking isn't for the uninitiated. Hacking is an elite profession among the IT field. As such, it requires extensive and detailed understanding of IT concepts and technologies. At the most fundamental level, Linux is a requirement. I strongly suggest you invest the time and energy into using and understanding it, if you want to make hacking and information security your career. If you are ready to make the leap to the world's best and open source operating system, start with my series on "Linux Basics for Aspiring Hackers in Null Byte". Another informative write up, OTW. Keep up the good work. What's the difference between UNIX and Linux? Only one side of the login box is visible and you can't move it. login, I was forced to invite myself again on both my emails. My question is why didn't the system recognise me? Earlier, when I used the box, I got an "Ajax Error" code. What's that? Why isn't there a "Contact Us" link at the end of the web page? Good question regarding the difference between UNIX and Linux. To sum up, they are very similar. UNIX preceded Linux and essentially, Linux is a reverse engineering of UNIX so that we can use UNIX without licensing fees on the x86 platform. As for your problems using the site, I'm not sure what happened there. I am not the adin for the site but will pass along your concerns. As for the AJAX error, that is usually an indication that you lost connectivity to the wonderhowto.com server, if only for the second that you were doing an action. I've heard that Linux is very secure and we don't need any AV software (due to the non availability of root permissions by default) .Is this only the reason why it is more secure , because then to hackers (who might be using root permissions often ) it can be a problem because a virus can attack as soon as we log in the super user mode. Generally, Linux is more secure and has fewer virus threats, but you should use AV software. There are Linux viruses! Not to mention, it's such an amazingly lightweight OS with no unnecessary processes bogging it down. Running it on a 3-year-old i3 machine is just as smooth as running Windows on my current i7. The moment games are written natively for Linux and there's full driver support, I'm dropping Windows for good. Linux is not a hacking tool, but rather a hacking platform. If you download kali or backtrack, all your tools are included. Thanks for your kind words. I'm glad you are enjoying more work. You don't really need to learn any languages to be effective using Kali, but BASH shell scripting will definitely make you more effective.